AS GOVERNMENT servants are flush with cash following the disbursement of salary and bonus and the new academic term beginning in over a week’s time, the “Back-to-School” sales fever has gripped the country. It’s a busy time of the year for book and stationery stores nationwide, as they make the most out of it with students and parents alike flocking to the stores to beat the last-minute rush for school necessities and avoid being caught in a book shortage scenario. 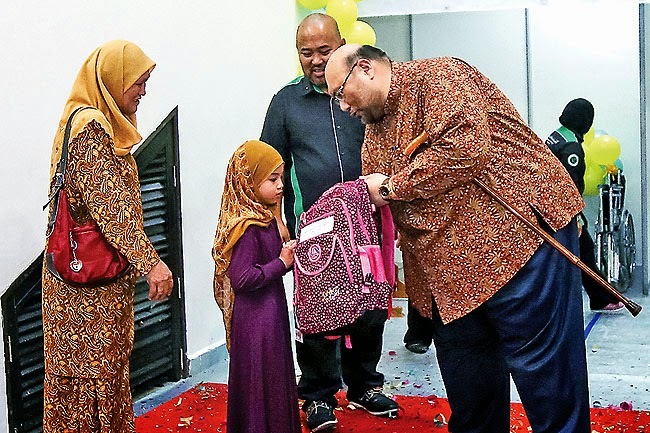 Amid the shopping frenzy, a Charity Exhibition and Back-to-School event organised by the KatakIjau Humanitarian Relief Support Group was launched yesterday by the Permanent Secretary (Media and Cabinet) at the Prime Minister’s Office, Haji Mohd Rozan bin Dato Paduka Haji Mohd Yunos. It was held at the Indoor Stadium of the Hassanal Bolkiah National Sports Complex and organised by the KatakIjau Humanitarian Relief Support Group in collaboration with the Department of Youth and Sports. The exhibition is open to the public until January 4, 2015. 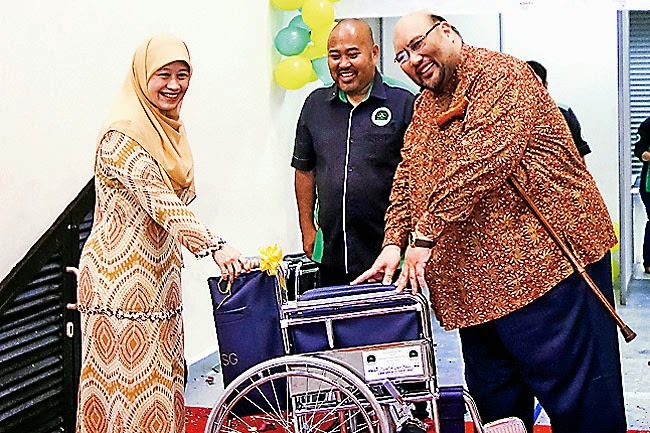 The guest of honour yesterday presented five wheelchairs to Dr Hjh Nur Azmah binti Abdullah, Head of Obstetrics and Gynaecology Section of Raja Isteri Pengiran Anak Saleha (RIPAS) Hospital. Education assistance was also presented to five underprivileged students from the Children’s Cancer Foundation (YASKA). The guest of honour also presented an appreciation plaque to the Maxiscooter Club Kuala Belait (KEMAS) who was involved in a charity programme in constructing a bridge and steps to the house of Awang Saban in Kg Sungai Teraban, Belait District last May. 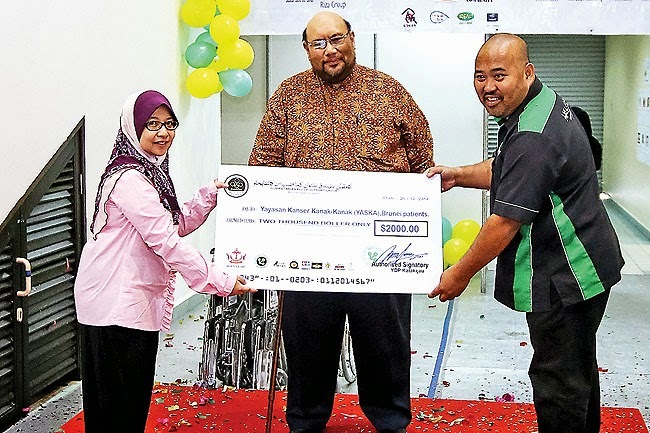 KatakIjau Humanitarian Group also donated $2,000 to YASKA, which was presented by its president Rozan bin Hj Kaderi to a representative of YASKA, Siti Noramizah binti Hj Tengah. A series of activities will be held throughout the exhibition such as Zumba Fitness, Cat Show, Tamiya Remote Control Competition, Face Painting, Lucky Draw, Colouring Contest, Mini Cooper and 4WD car show as well as Maxiscooter show, Blood Donation Drive and a Fixie Bike Challenge. The event is open to the public from 10am to 10pm, except on Fridays when it will be open from 10am to 11.45am and from 2pm to 10pm. 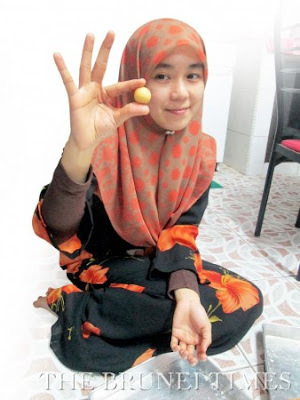 A total of 66 vendors from home-based businesses and local SMEs will be showcasing their products. 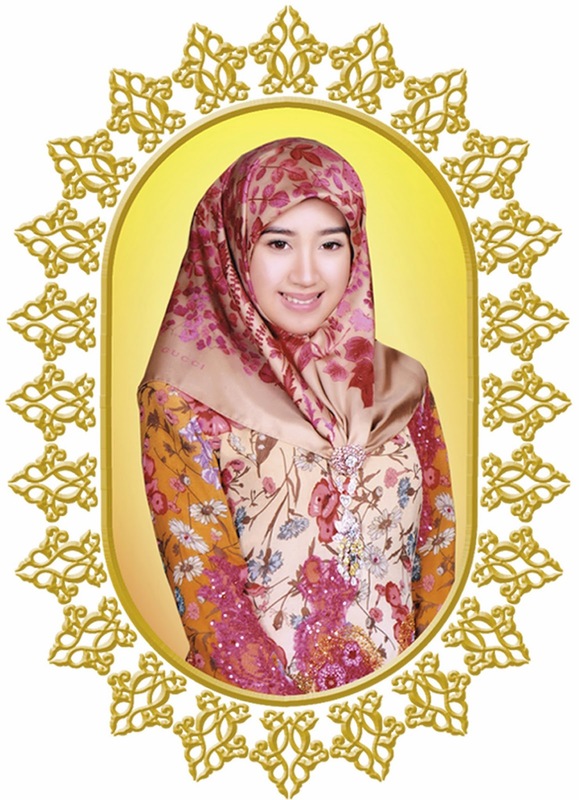 The objective of the event is to raise funds for underprivileged students and YASKA children. The exhibition is also supported by the Riza Group of Companies, Brunei Meows, Persatuan Gemilang, Tamiya, Fixie and Mini Cooper Community in Brunei, KEMAS, Zumba Fitness FuHReaKZ, Interhouse Marketing Sdn Bhd, Excapade Sushi, Ideal Café and Grill and many more.